Lycanroc, The Wolf Pokémon. The sharp rocks in its mane can cut like knives. Lycanroc wears its prey down by degrees before finishing them off. The rocks in its mane are sharper than a knife. Fragments that break off are treasured as good luck charms. Lycanroc is definitely an interesting Pokémon, but unfortunately one that doesn't particularly field any niche. It's a fast hitting Rock-type, which isn't as common as most, and it can hit hard, but unfortunately it is quite frail and lacks the distinctive movepool that you'd hope. 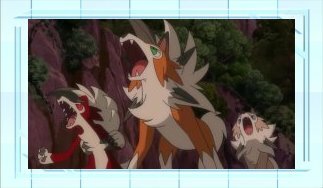 Lycanroc was not one of the most common Pokemon in VGC 2017, but its Midday form was a very threatening Pokemon. Thanks to Sand Rush, Midday Lycanroc could outspeed even Surge Surfer Alolan Raichu in Electric Terrain. While it did not have the best attack and is greatly weakened by Intimidate, fast STAB Rock Slides could be a major problem with flinches. Its cousin Midnight form did not see as much usage sadly. The loss of speed, Accelerock, and Sand Rush greatly hurt it, though not missing Stone Edge was nice. 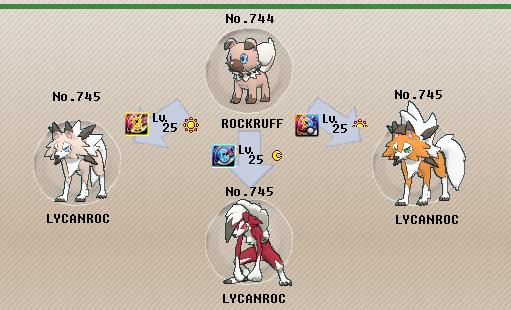 VGC 2018 brings many new threats to Lycanroc, but the Lycanroc family has a couple of new toys. An entirely new form, Dusk form, still has good speed and an ability that boosts some of its coverage moves, while a signature z move, Splintered Stormshards, is very powerful and eliminates the active terrain, which is quite useful in a format where terrain control can be crucial.. Maximum speed and attack help Lycanroc do its thing. An Adamant Nature was more common last year to give it a bit more power, but Jolly has its merit. Jolly nature guarantees you outspeed Alolan Raichu if you both are boosted by your abilities, and can be useful if the sand is not up. 4 EVs in special defense give opposing Porygon2 an attack boost. A minor detail, but can be important in managing your opponent's damage output. Sand Rush is an awesome ability to boost your speed to insane levels in sand, and is the only ability this form should really use. Focus Sash lets you survive any one attack, which can be key with the bad bulk. Lycanium Z, however, gives you access to your powerful z move to mess with your opponents terrain. Rock Slide is just ridiculous in doubles with Lycanroc's speed. Accelerock helps you pick off weakened opponents and can be useful to get off one more attack once brought down to a Sash, but Stone Edge gives you access to the z move. Fire Fang is very good for steel types, especially Kartana. Protect is the best move in doubles, and is great to dodge Fake Out. 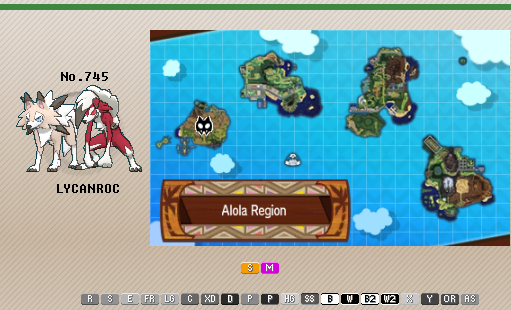 -Should you not want to get rid of your own terrain effects, Rockium Z is an alternative z move. -Life Orb can be used on any set to consistently boost your attack, and Choice Band can be even better if you do not mind being locked into a move. -Thunder Fang (or Thunder Punch on the Midnight form) gives electric coverage. Iron Head hits fairies, while Crunch (or Throat Chop on the Midnight form for Hyper Voice users) gives dark coverage. Zen Headbutt does not give too much coverage, but has its uses. Brick Break can mainly be used for breaking screens like Aurora Veil. -Drill Run is only available on the Midday and Dusk forms, but gives a good ground move. -Rock Tomb provides speed control, while Snarl can also be used on a support set to weaken your opponents' special attacks. -Roar and Taunt can prevent Trick Room or other setup strategies. -Gigalith was the Midday form's most common partner in VGC 2017 for sand support, but Hippowdon and Tyranitar are other options now that the full Pokedex is available in VGC 2018. Sand also boosts any of the three forms' special defense. 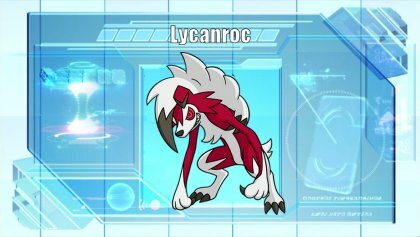 -Intimidate can boost Lycanroc's physical defense to help it take a hit, especially on sets without a Focus Sash. -Psychic Terrain prevents priority against the frail wolf, so Tapu Lele makes a good teammate. -The Midnight form especially appreciates speed control like Tailwind support. -Defiant and Competitive teammates help deter Intimidate users that greatly weaken your physical attacker. Lycanroc, The Wolf Pokémon. It has no problem ignoring orders it doesn't like. It doesn't seem to mind getting hurt at all—as long as it can finish off its opponent. They live alone without forming packs. They will only listen to orders from Trainers who can draw out their true power. Vital Spirit: The Pokémon cannot be Asleep while having this ability. - Not the best ability, very situational. 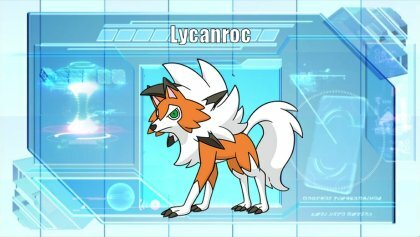 Lycanroc was not one of the most common Pokemon in VGC 2017, but its Midday form was a very threatening Pokemon. Thanks to Sand Rush, Midday Lycanroc could outspeed even Surge Surfer Alolan Raichu in Electric Terrain. While it did not have the best attack and is greatly weakened by Intimidate, fast STAB Rock Slides could be a major problem with flinches. Its cousin Midnight form did not see as much usage sadly. The loss of speed, Accelerock, and Sand Rush greatly hurt it, though not missing Stone Edge was nice. 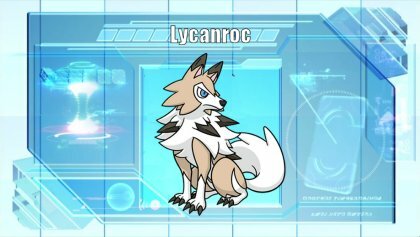 VGC 2018 brings many new threats to Lycanroc, but the Lycanroc family has a couple of new toys. An entirely new form, Dusk form, still has good speed and an ability that boosts some of its coverage moves, while a signature z move, Splintered Stormshards, is very powerful and eliminates the active terrain, which is quite useful in a format where terrain control can be crucial. Similar to the Midday form, the Midnight set wants to hit hard and fast. Jolly may be more necessary since the loss in speed really hurts (and the bulk gain does not really help much), but Adamant can be good if you have speed control. The EVs achieve the same objectives as its cousin. A Focus Sash lets it live any one hit again, which is important with the lower speed. Life Orb was one of the most common items to boost its attack though. A z move can certainly be used here, but this Lycanroc is a much slower and less reliable to use it. No Guard makes it so Stone Edge cannot miss, and it's nice to not worry about evasion boosts from Minimize or Moody. Stone Edge is the strongest STAB move, and with perfect accuracy thanks to No Guard, is an awesome move with no drawback. Fire Punch is stronger than Fire Fang for Midnight form for steel types. Sucker Punch is strong priority that helps make up for some of the speed loss. Protect is again great in doubles to help you set up speed control for Lycanroc or dodge threatening attacks. Lycanroc, The Wolf Pokémon. Bathed in the setting sun of evening, Lycanroc has undergone a special kind of evolution. An intense fighting spirit underlies its calmness. This strange form is the result of its evolving at dusk. It’s very rare in Alola. Like every other Lycanroc set, this one tries to hit hard with maximum attack. Max speed with a Jolly nature is more necessary on this set than the Midday form, as Dusk form Lycanroc has less speed and may be outsped by many important targets with an Adamant nature. Tough Claws is its only ability, but is awesome to boost Accelerock or Fire Fang. Focus Sash lets it survive any attack, but Lycanium Z again gives it access to Splintered Stormshards. Rock Slide is great again on a Pokemon with good speed. Accelerock is STAB priority, but Stone Edge can avoid Wide Guard and pair with the z move. Fire Fang again hits steel types, and Protect is Protect.